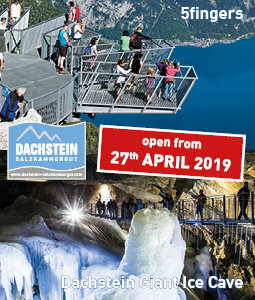 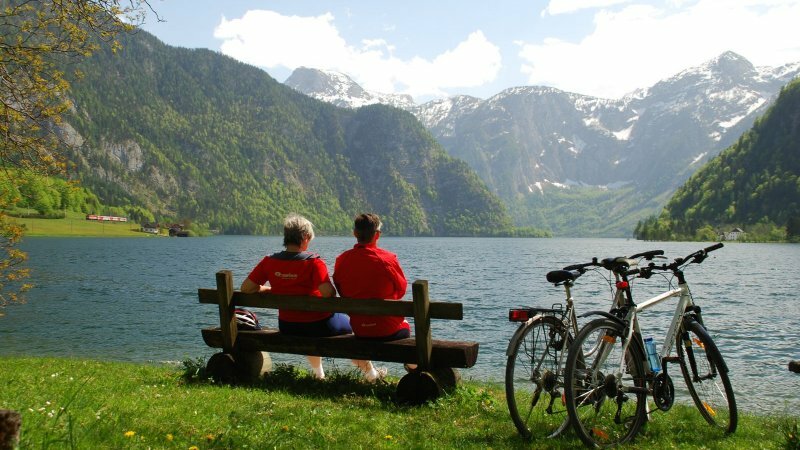 Nobody knows better than our guides where the most beautiful lookout spots are, which are the longest descents, the most challenging ascents, the cosiest chalets and the most magnificent circular tours! 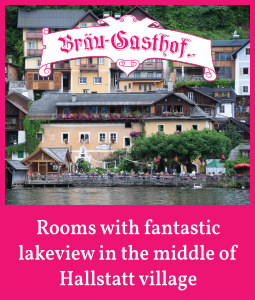 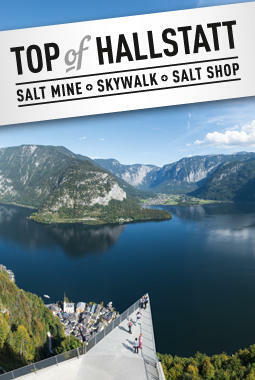 Select your own individual tour or create a tour together with your guide. 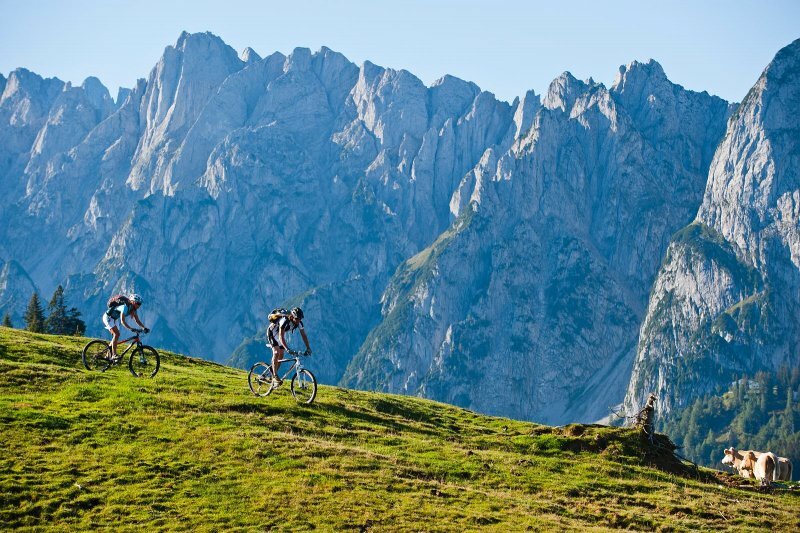 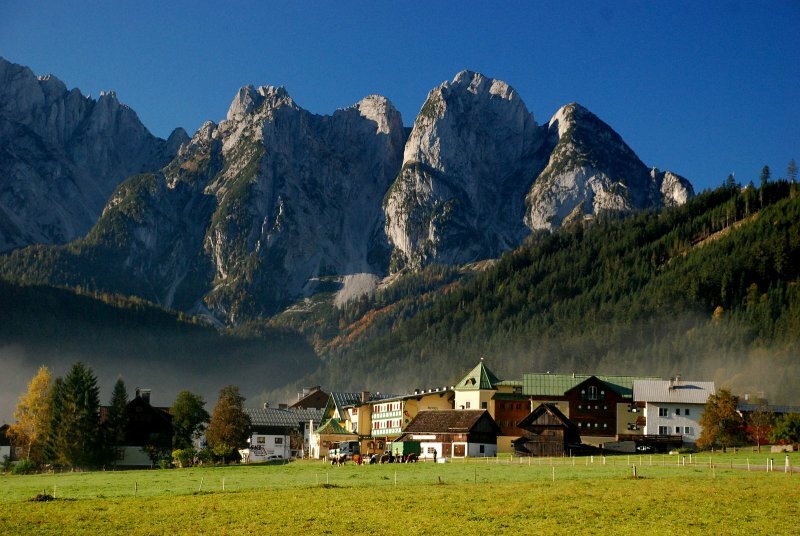 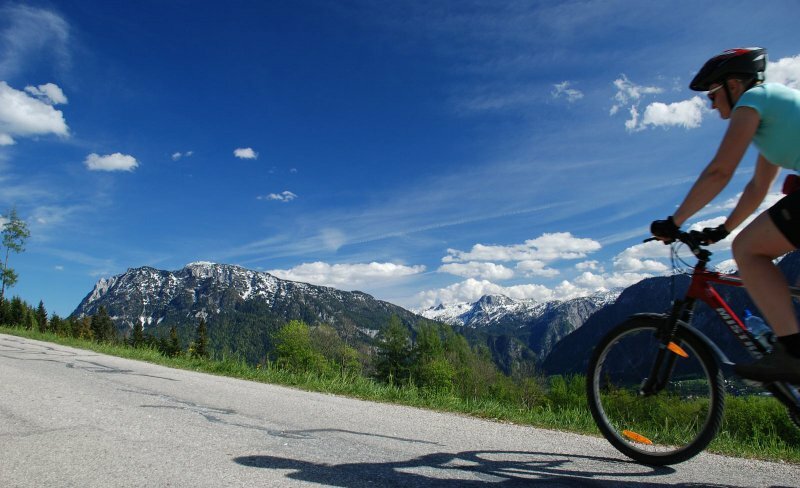 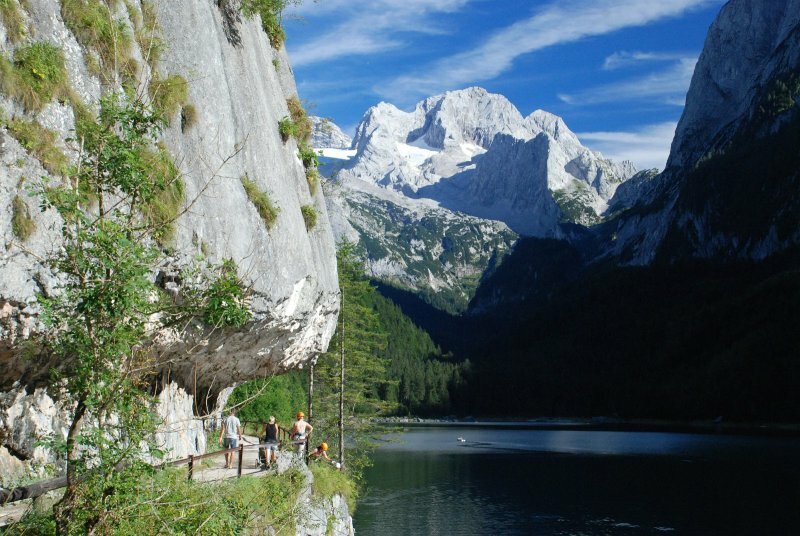 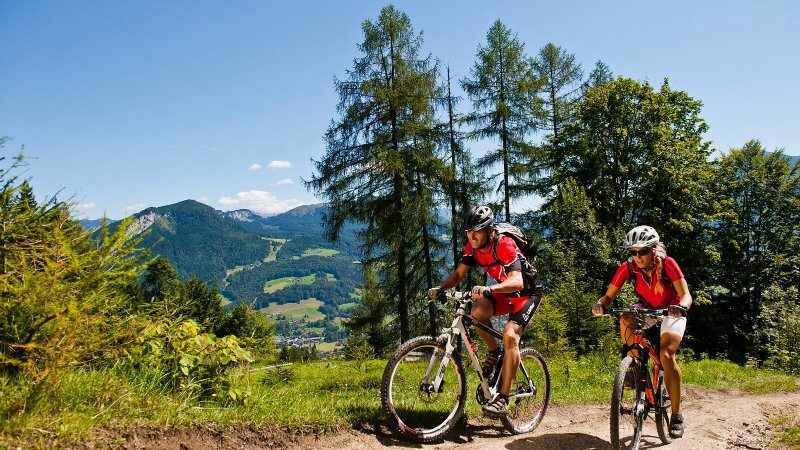 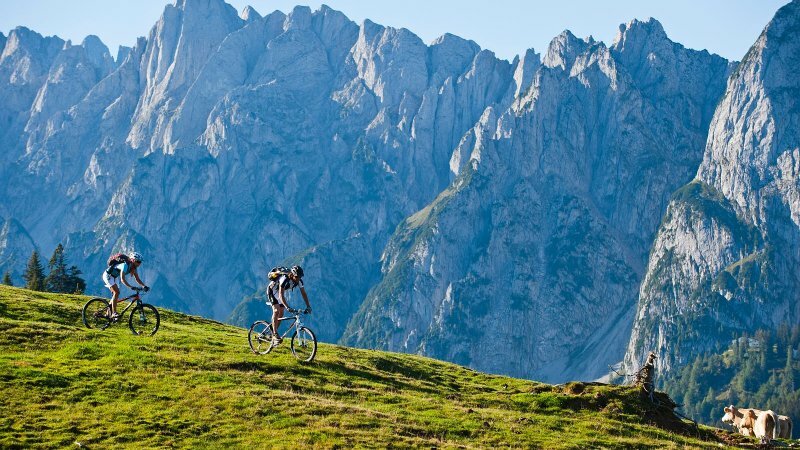 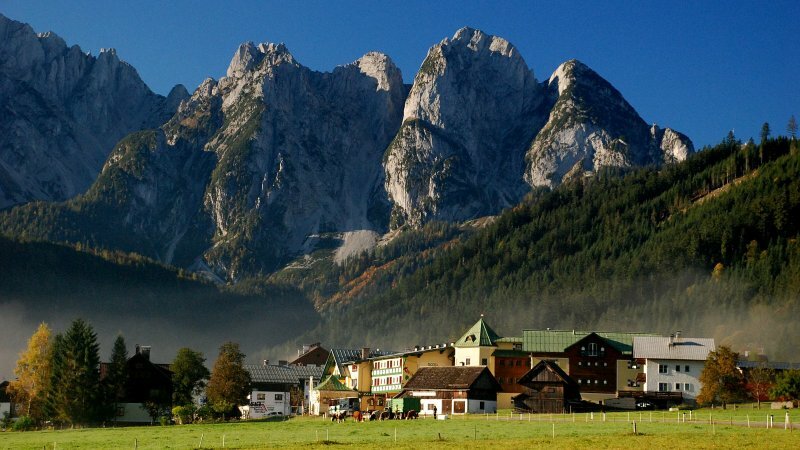 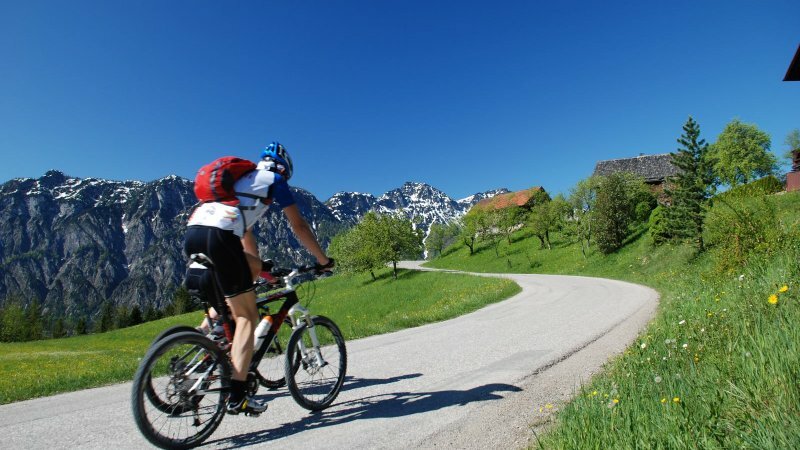 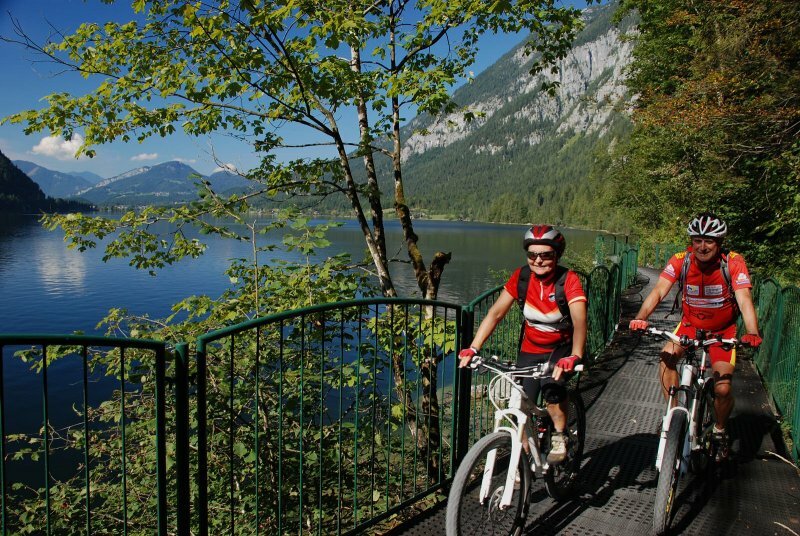 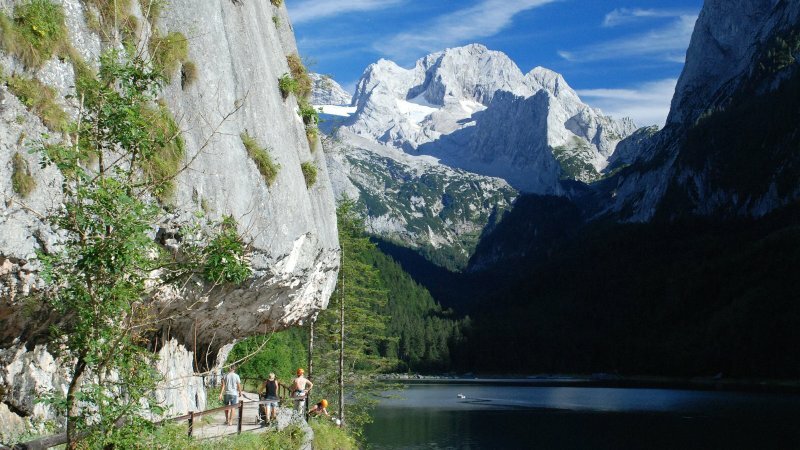 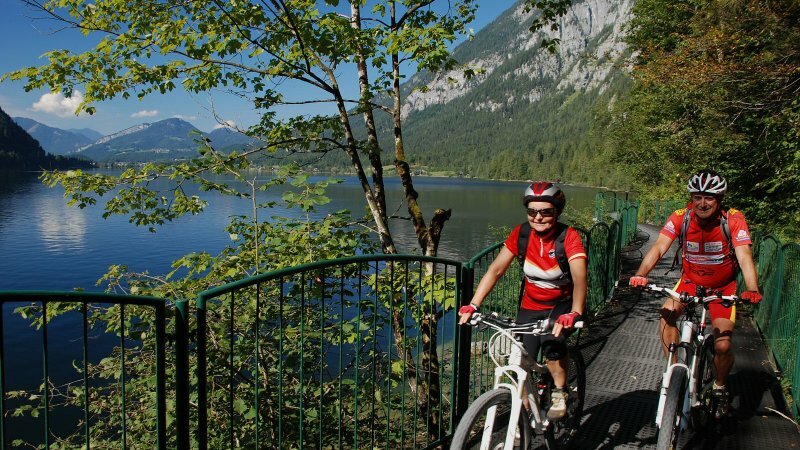 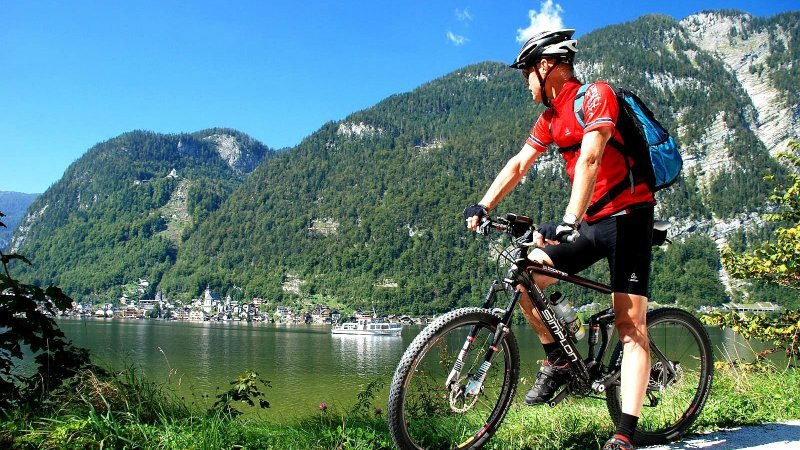 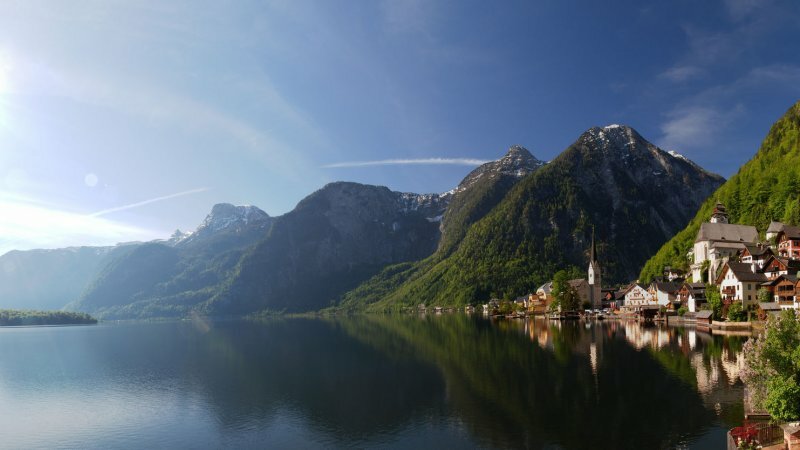 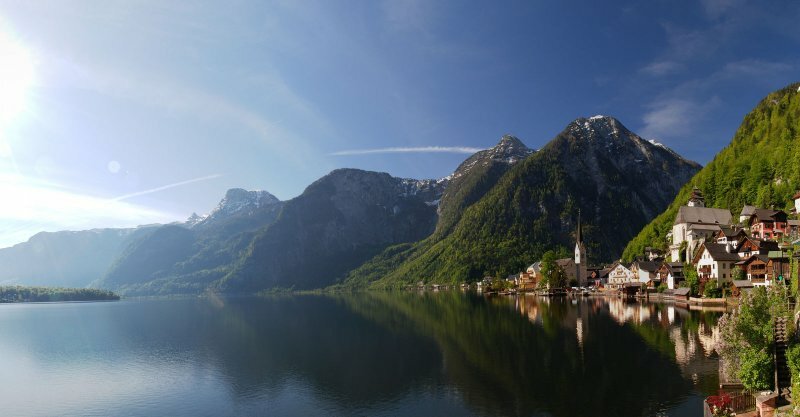 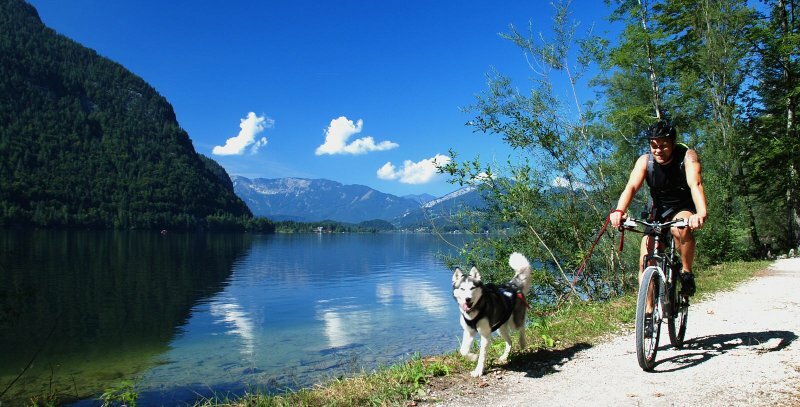 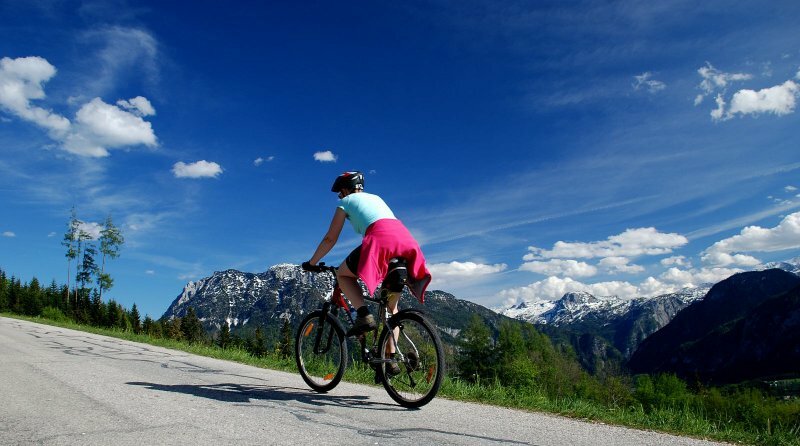 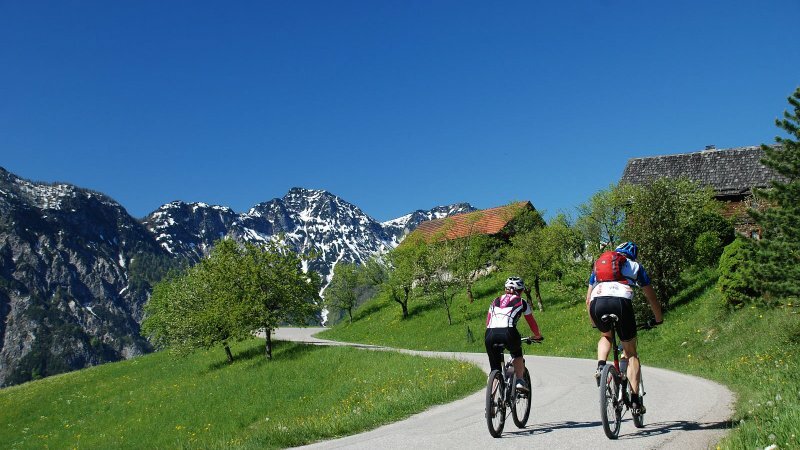 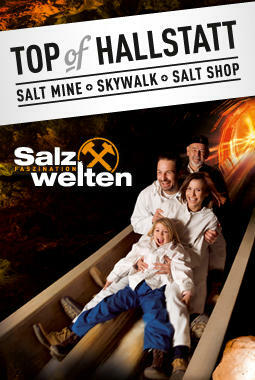 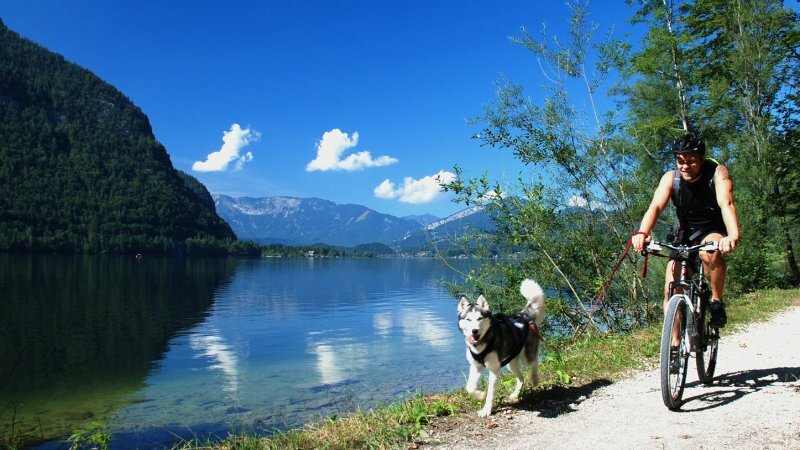 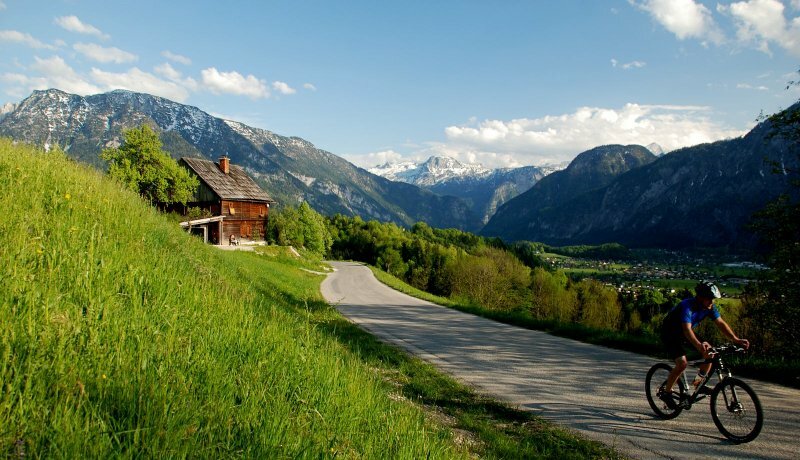 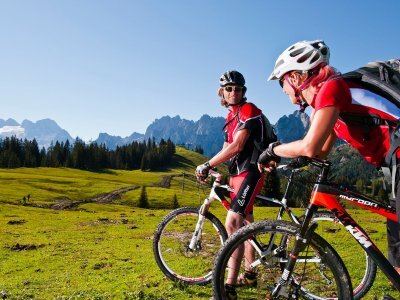 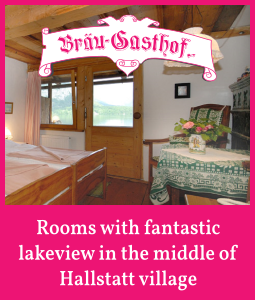 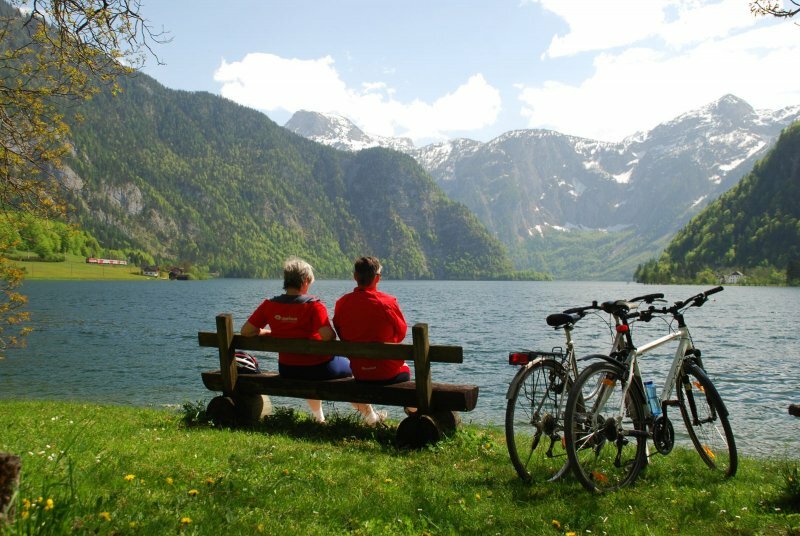 Guided mountain bike tours around the most beautiful parts of the Salzkammergut are organised five times a week. The tours are divided into two degrees of difficulty. For first-timers the cycling time is about two hours and 500-metre differences in altiude habe to be overcome. 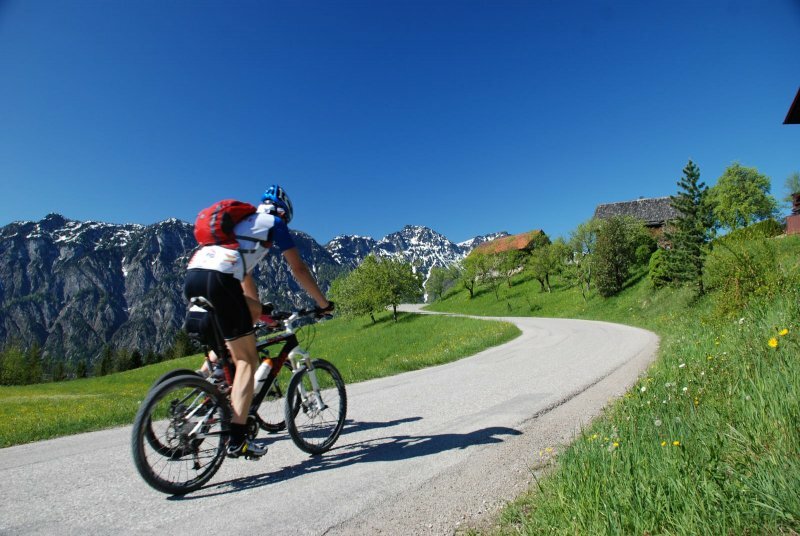 Advanced bikers cycle a total of about 3-4 hours, overcoming a maximum of 1.500 metres in altitude. 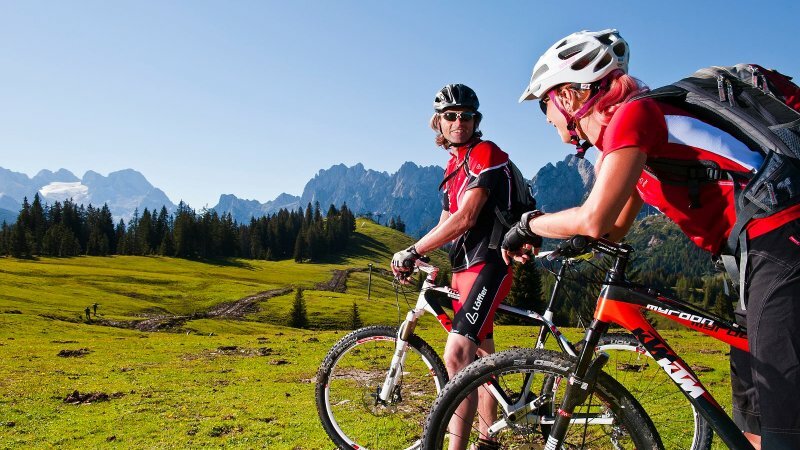 Specific tour, including technical instruction, offered even for only one person. 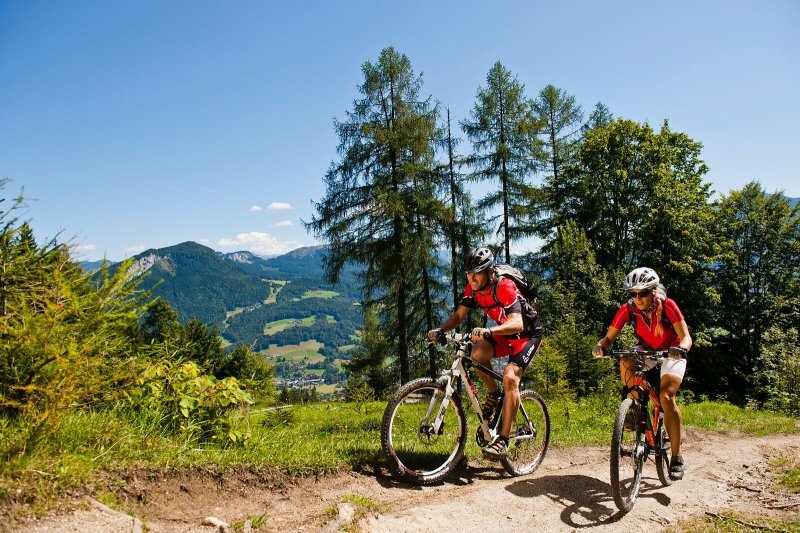 For those who would like to give mountain biking a try, it's best to choose our "Biking Basics" programme. 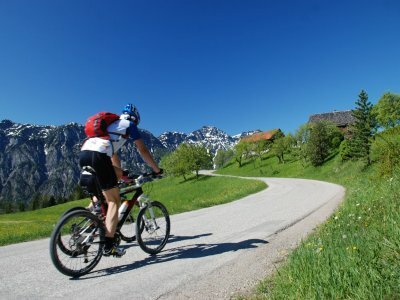 This includes technical instruction, basic training in cycling technique and a short 90-minute run on a hired bike an with a hired helmet.